For generations of Americans, Sears has simply been where you go when it’s time to outfit your new home. (At one point, you could even order your house itself out of the Sears, Roebuck catalog.) They, and their Kenmore appliances, were trustworthy, reliable, and quintessentially American. Now? 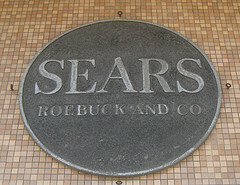 Is Sears any of those things? Waiting for the second repair on her two-year-old fridge, Joyce was surprised to learn that her Kenmore is just an LG with a badge slapped on it. Oh, and no one knows when the new compressor is coming, or whether it’s actually been ordered at all. Reader Joel isn’t too happy with the service he got from Sears. He was looking to get an older TV fixed and, rather than make sure that they could fix it, Sears sent a guy to drive on Joel’s lawn.